Load Capacity is 25 lbs. Wall Mount for holding most 10 to 23 inch LCD Monitors with Tilt Angle of minus 5 to plus 15 degrees with a Distance from the wall to the back of the Monitor of 1.7 inches. 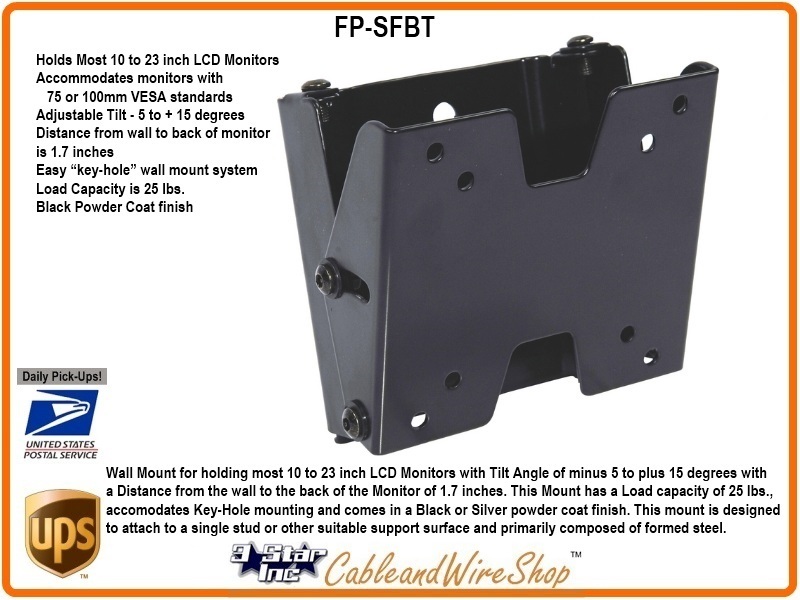 This Mount has a Load capacity of 25 lbs., accomodates Key-Hole mounting and comes in a Black or Silver powder coat finish. This mount is designed to attach to a single stud or other suitable support surface and primarily composed of formed steel.